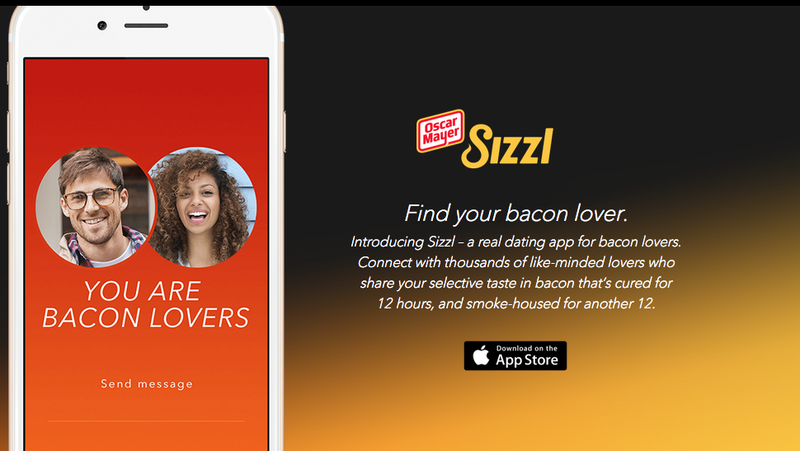 Bacon has had a cult-like presence on the internet for a very, very long time, and just when you thought the obsession over this ordinary breakfast meat has finally run its course, someone makes a dating app based on it. I’m looking at you, Oscar Mayer. The app’s most unique feature is how it lets you gauge your level of interest in each would-be partner. Instead of swiping, you hold your finger down on the screen. The longer you hold, the higher the “Sizzl-meter” rises, and if you and your potential date happen to sizzle each other at a similar level, you’ll be registered as a match. That’s when you can start messaging each other and setting up bacon-tasting dates. Ridiculous? Maybe. But people have gone looking for love in weirder places.